Our spiritual treatments will heal your tired nerves, bringing you to a world of harmony and relaxation at a deeper level. We arrange free transportation from Nusa Dua, Jimbaran and Kuta. 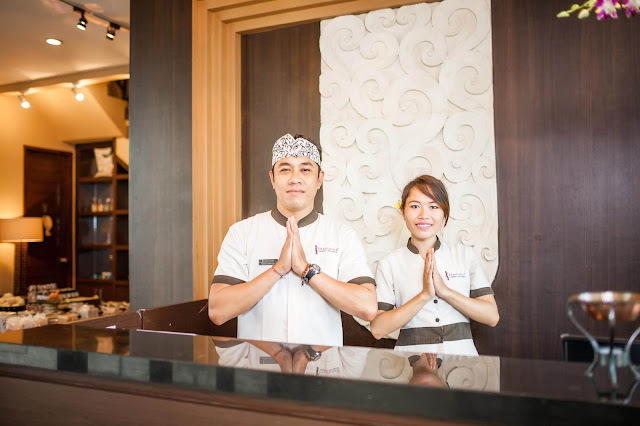 If you plan to visit our Spa on the day of your departure, we can provide free transfer to the airport. What is Natural Essential Minerals Therapy? Living in a modern life, the essential minerals from our body is deprived by stressful daily life or anxiety conditions. Even we care about nutritious diet, our body system would lose its function if our body has less mineral which encourage our body cell activate. "Natural essential minerals Therapy" brings our body supple with essential minerals from the ocean. Natural SeaSalt is very rich in mineral source which is truly essential for our whole body, will give us several uplifting results to bring our body cell's healing potential, to improve body circulation, re-balancing our autonomic nerve system or calm our mind. 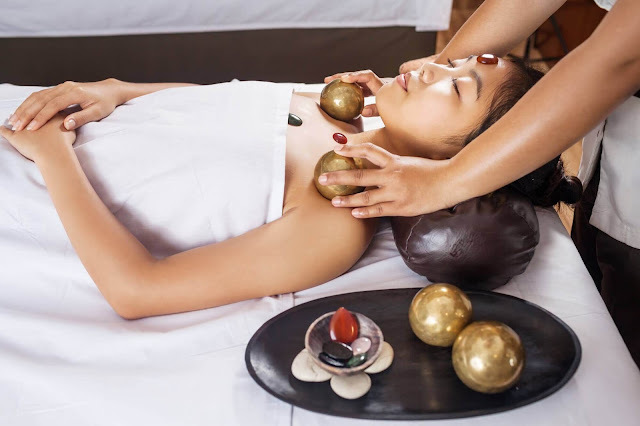 Jamu is a secret remedy popularly used during Indonesian Solo dynasty, this ancient traditional healing medical method is carried on more than 1200 years. Jamu is natural herb remedy made from plant roots, wood or flowers. 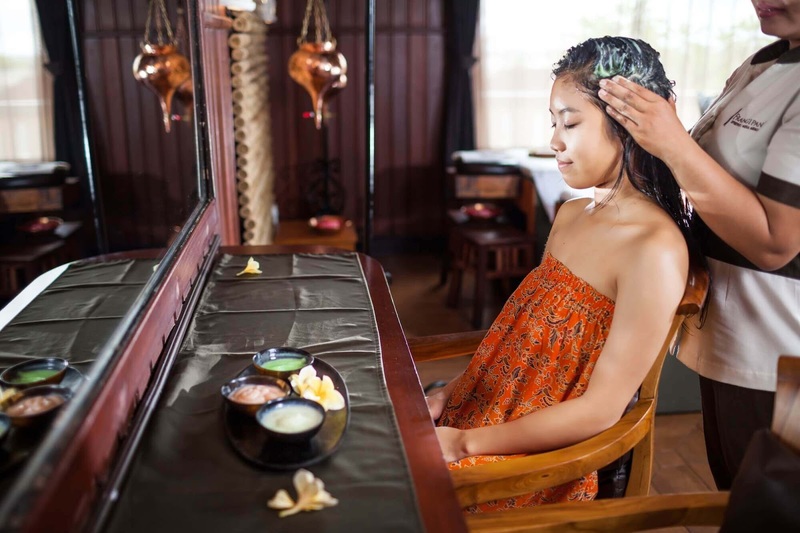 Originally introduced by Indian 'Ayurveda', the basic jamu method follows the Ayurveda medical method. We provide range of spa treatment using our original cosmetic brand "LOHAS" which is jamu based product. Treatments by Frangipani Esthetics range collaborates the secret remedy of Balinese herb Jamu and the premium marine therapy (Thalasso Therapy) which is totally unique and original. We provide free transportation to Kuta, Nusa Dua, Jimbaran or Sanur area, or, drop you at the International airport by our own vehicle. Free gift! Frangipani Esthetics Salon original 'creambath' profesional-use product. This 'welcome gift' from Frangipani Esthetics adores everyone. Enjoy Balinese beauty recipe at your own home. 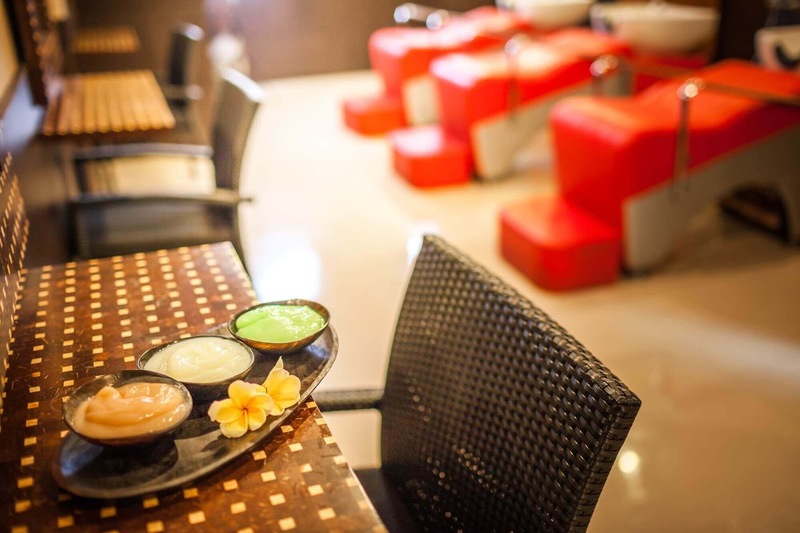 Tailor Made, arrange your treatment for yourself only. Our well experienced therapists who certified by Australian government, receiving complete certification of Australian Spa counseling & Spa massage & treatment course (authorize#6148) will arrange your treatment menu exclusively. We also arrange and recommend menus for guests who need special health attention. Please feel free to contact us for more detail. 10% OFF for our original cosmetic brand "LOHAS" product. You can get 10% OFF from Frangipani Esthetic original cosmetic brand "LOHAS" products at our salon with your direct spa booking. 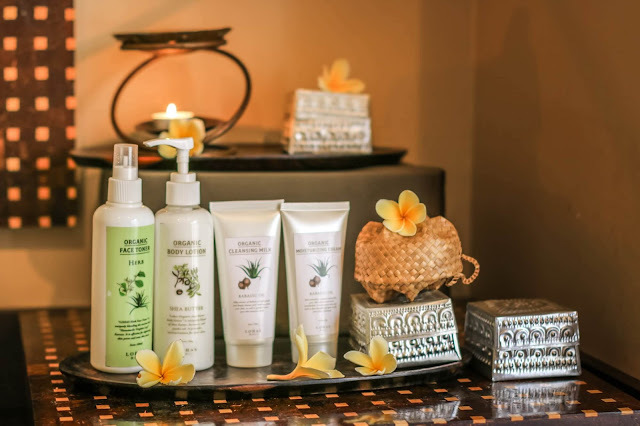 Renowned Spa in the Island of Gods, Bali, Frangipani Esthetics is proudly present new organic cosmetic brand "LOHAS" which is the first international safely standard, organic cosmetic products in Indonesia. LOHAS offers range of products using Indonesia's ancient natural herb remedy 'Jamu' made from plan roots, wood or flowers, as well as mineral rich Natural Sea Salt. 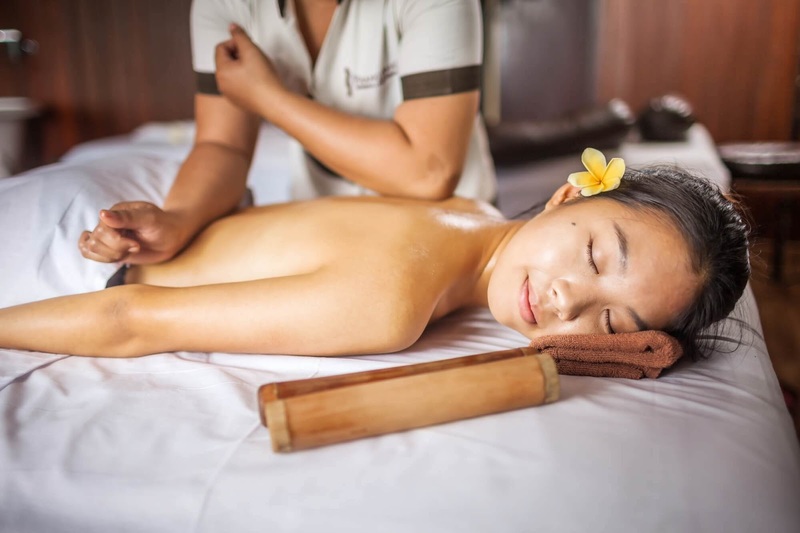 All ingredients are high quality, carefully selected by Spa owner. 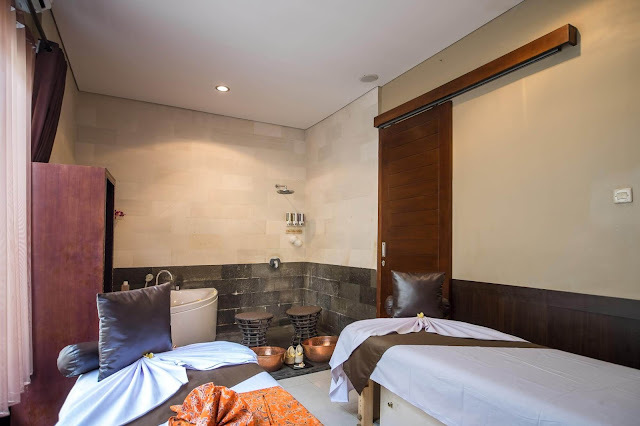 Enjoy relaxing exotic Balinese moment at home. Luxurious and rich, pure organic product will bring you fabulous time. Your body can tell you for sure. 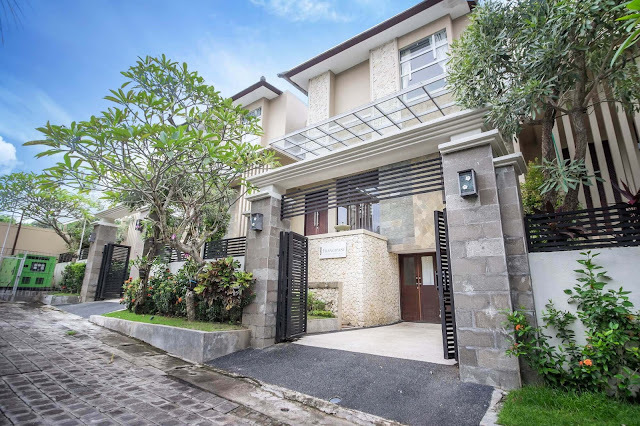 We operate SPA VILLA from January 2008. Spa Villa guests are available to use the room for 45 minutes. This time can be used after all treatments or between the treatments if you would like to relax and have some drink.